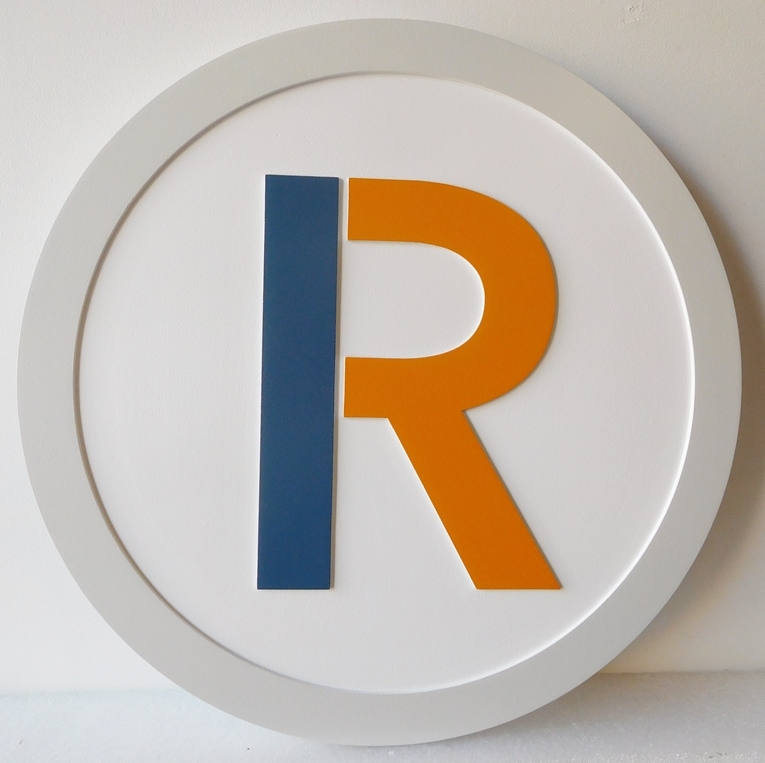 SA28434 - Carved Round High Density Urethane (HDU) Sign for the "R" Shop. Above is an attention-getting carved round High Density Urethane (HDU) sign for the "R" Shop.The white background of this sign is sanded smooth. T The text and border are raised and carved in 2.5-D (flat relief). The sign, including text and borders, are painted with long-lasting automotive-grade enamels. The entire sign is clear-coated twice with highest quality clear-coat, making the sign suitable for either indoor or outdoor use. The sign can be mounted on a wall or hung from an overhead beam or wrought iron scroll bracket.